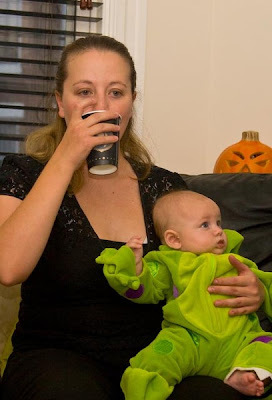 For William's first Halloween, Taylor and I threw a party for everyone in my Mommy group. We invited the Moms, Dads and babies. Costumes for the adults were optional. (Which is why Taylor and I are not wearing costumes!) 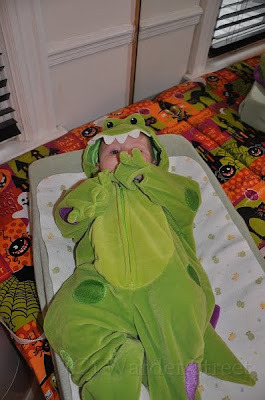 William went as a dinosaur! 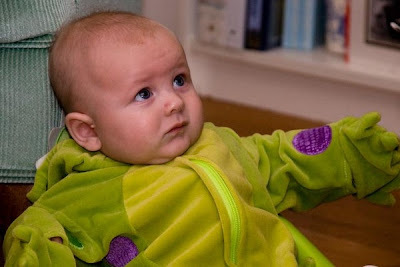 Looking back we didn't get great pictures of him in his costume so we may throw it back on this week for a photo shoot!